Are you tired of driving a vehicle that looks, feels and performs like it is stuck in the 80s? If so, consider this your cue to make a change; after all, your ride should be helping you to thrive, not holding you back. Here we look at some of the many reasons why Toyota’s latest and greatest Corolla was made for modern drivers like you. The new Corolla is far more than just a modern looking ride, it is also packed full of the latest state-of-the-art features. One of the biggest highlights is the Aha Radio app that lets you access and stream web-based content directly from your smartphone as well as organise it into your own unique on-demand channels. Bluetooth connectivity is fully enabled along with voice recognition functionality, while the 7” touchscreen display is clear, user-friendly and ultra-intuitive. The new iM even comes with a high tech backup camera standard, which makes squeezing into the tightest parking spaces a stress free experience. In the 2017 Corolla iM you will be comfortable for every minute of every drive, no matter how far you are going. There is enough room to easily accommodate 5 adults, soft touch materials have been incorporated throughout the vehicle, and 60/40 split fold rear seats give you the versatility to fit in whoever or whatever you need to. Dual automatic air conditioning, heated front seats and a leather wrapped steering wheel combine to add a serious dose of class and comfort, while the extra wide hatchback makes loading and unloading easy, every time. Whether you are rolling around the city or cruising along the highway, you will have all the power you need without wasting a drop of fuel in your new Corolla. The iM’s savvy 4-cylinder engine cranks out 137 horsepower and utilises Toyota’s cutting edge VALVEMATIC technology, which translates to a super responsive performance and remarkable fuel efficiency. The manual version iM requires only 7.9L/100km (combined), while the automatic does even better at just 7.5L/100km (combined). 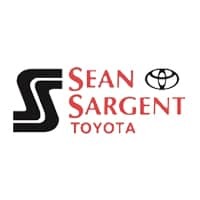 At Sean Sargent Toyota we know a thing or two about quality vehicles; after all, our range of new and used vehicles is among the best in Western Canada. If you are in the market for something special this year we’d be happy to help – you’ll find us here at 10625 117 Ave Grande Prairie.